See service advisor for details. *Up to six quarts of Motorcraft® Synthetic Blend oil and Motorcraft or Omnicraft™ oil filter for gas engine. Taxes, diesel vehicles and disposal fees extra. Hybrid battery test excluded. Additional oil or different oil and/or filter will effect the price. See service advisor for details. *Up to 15 quarts of Motorcraft® Synthetic Blend oil and Motorcraft or Omnicraft™ oil filter. Taxes and disposal fees extra. 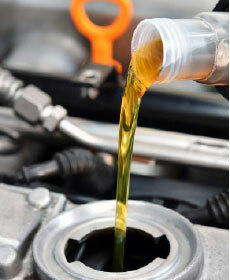 Additional oil or different oil and/or filter will effect the price.